Polly Shyka and Prentice Grassi (and their three young boys) own and operate Villageside Farm in Freedom, Maine. They grow certified organic seedlings, vegetables, herbs, and flowers, as well as raising laying hens and meat chickens. They sell their products through a CSA, to retailers, and Unity Food Hub. I visited Villageside a couple weeks ago, as they were getting ready for their first seedling sale of the season, and we talked about their approach to farming, and what it means to be part of the farm community in Waldo County. Villageside Farm was the first farm to sell through Unity Food Hub, a new distributor that connects farms with wholesale markets, like institutions, as well as low-income customers. 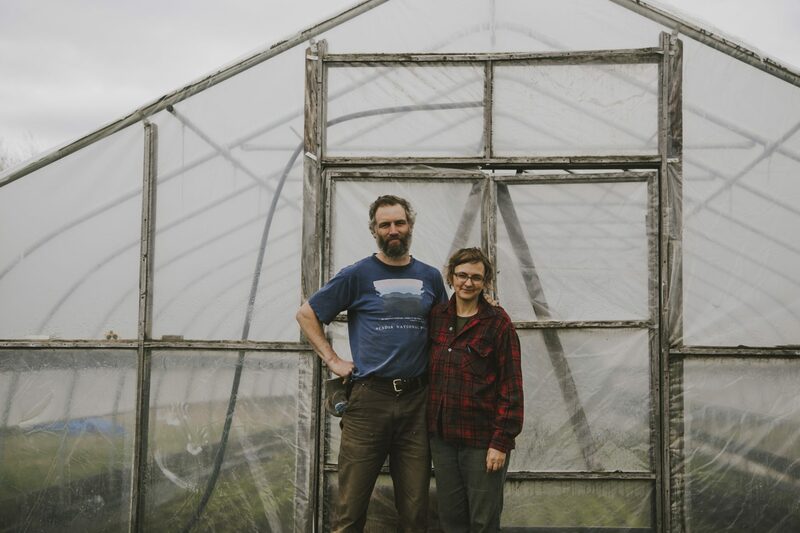 Colleen Hanlon Smith, the operations manager at UFH, lives just down the road from Polly and Prentice, and while they have a business relationship, they are also simply neighbors who care about farming and food, and are collaborating to do good work in rural Maine. Polly and Prentice train 3-5 aspiring farmers each year and love seeding the next generation of farmers. There is a wonderful young energy here, lots of laughter, cooperation, and a laid back vibe, although everyone is always busy. By raising their family on the farm, training new farmers, growing food for their neighbors and for start-ups like Unity Food Hub, Polly and Prentice are investing in their community, and perpetuating the future that they want to see.